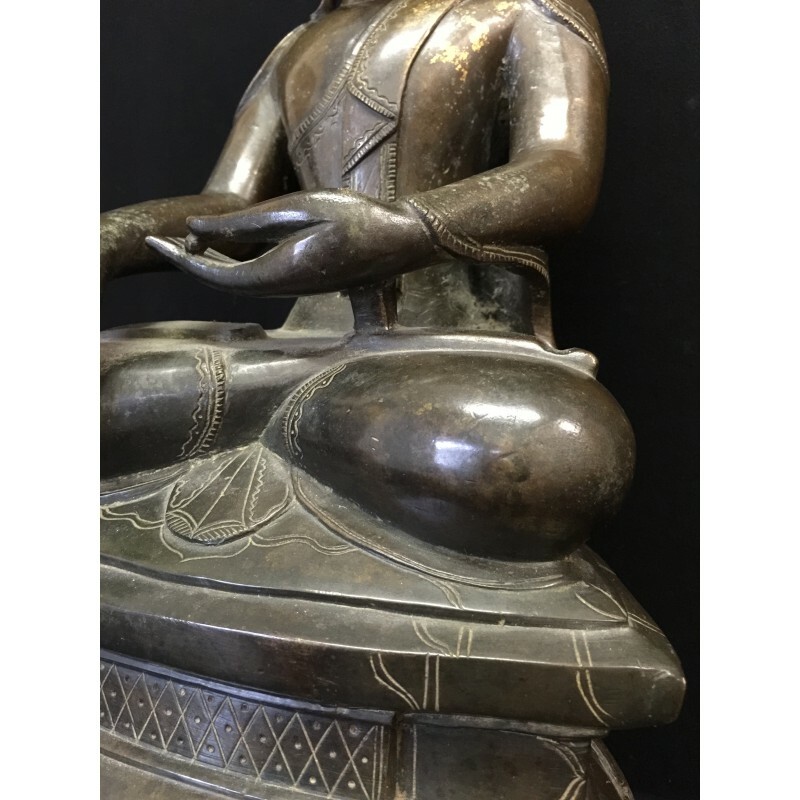 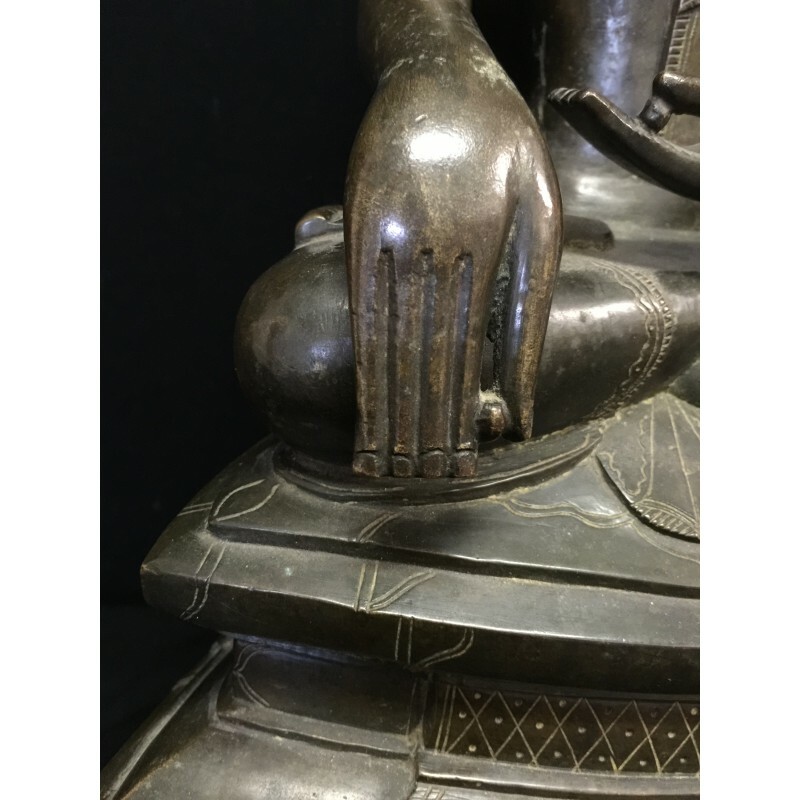 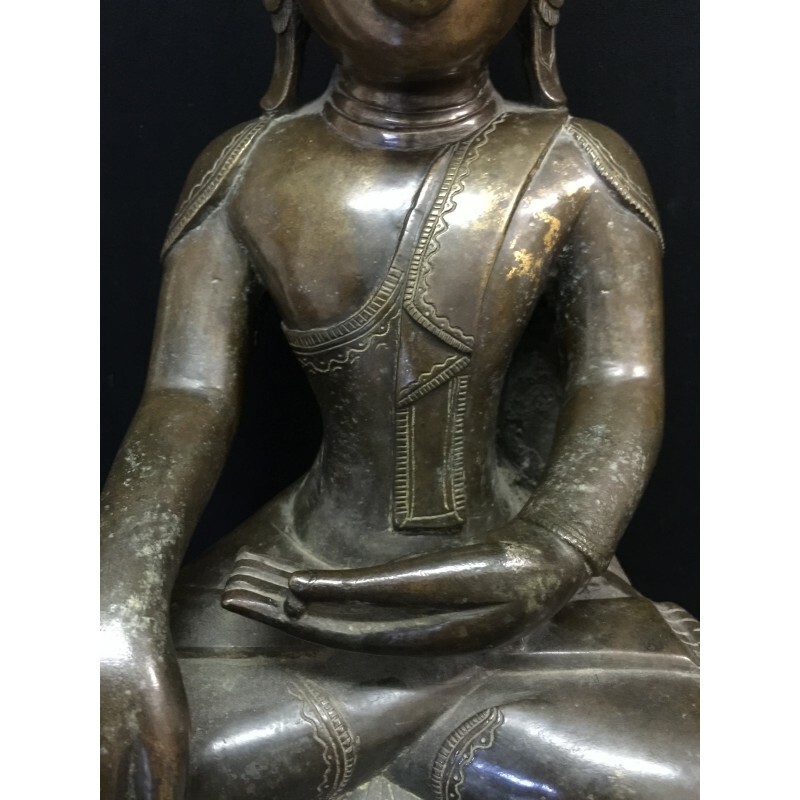 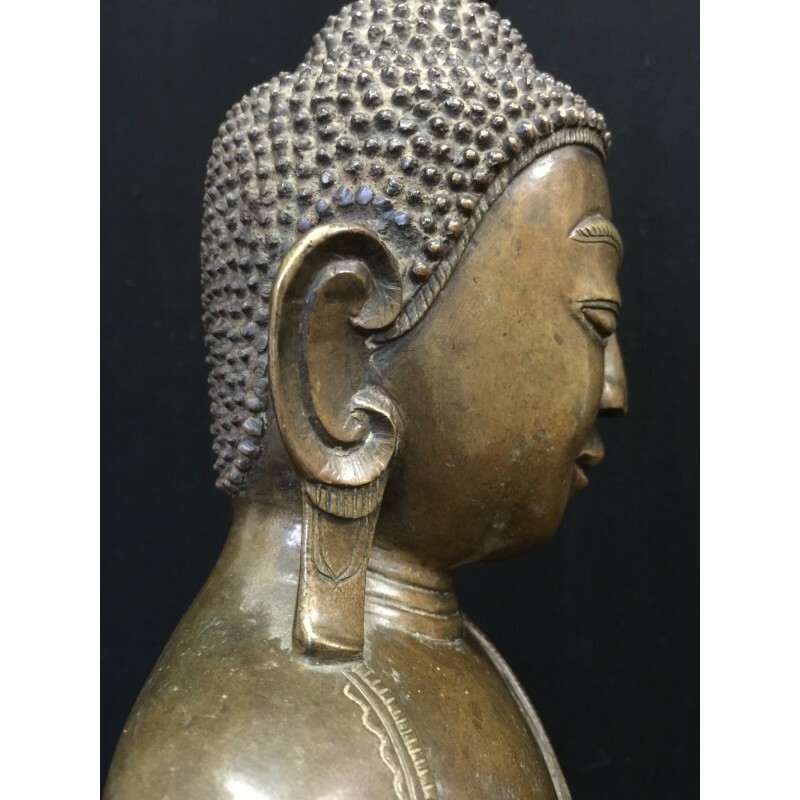 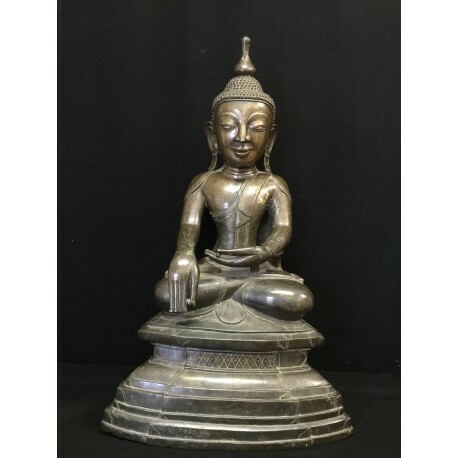 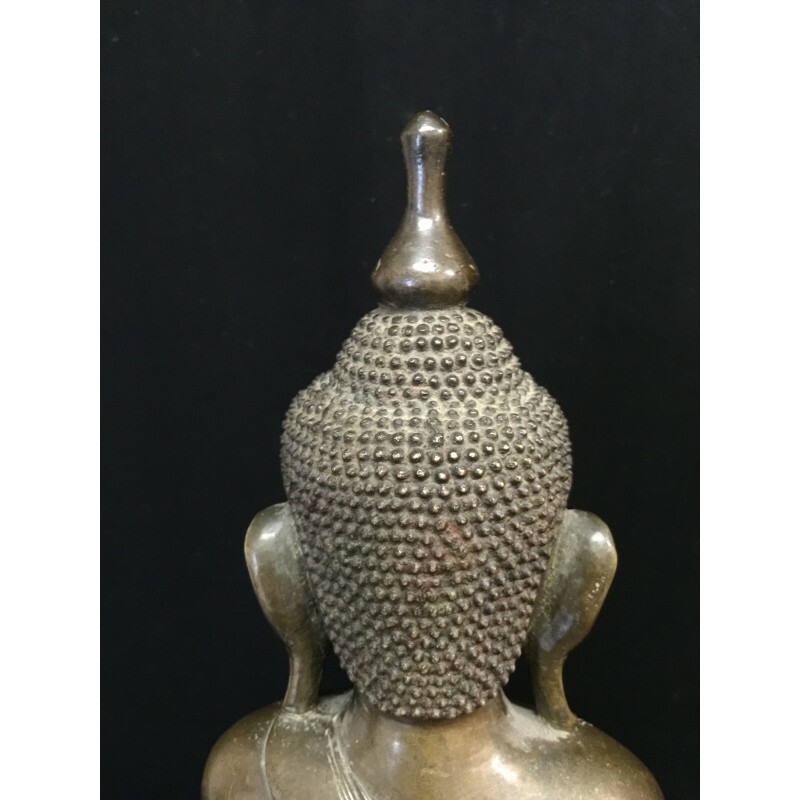 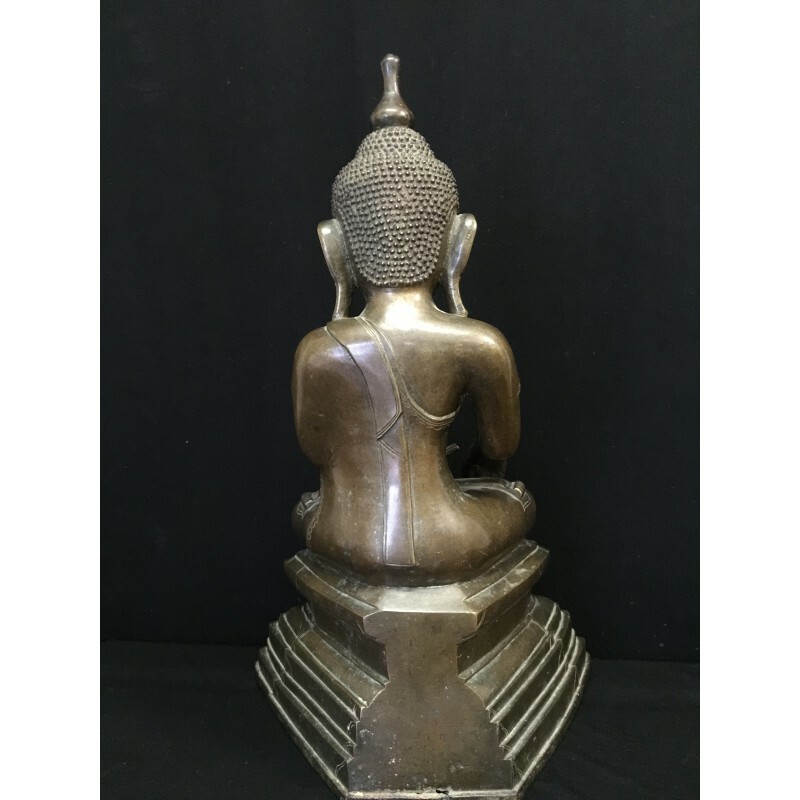 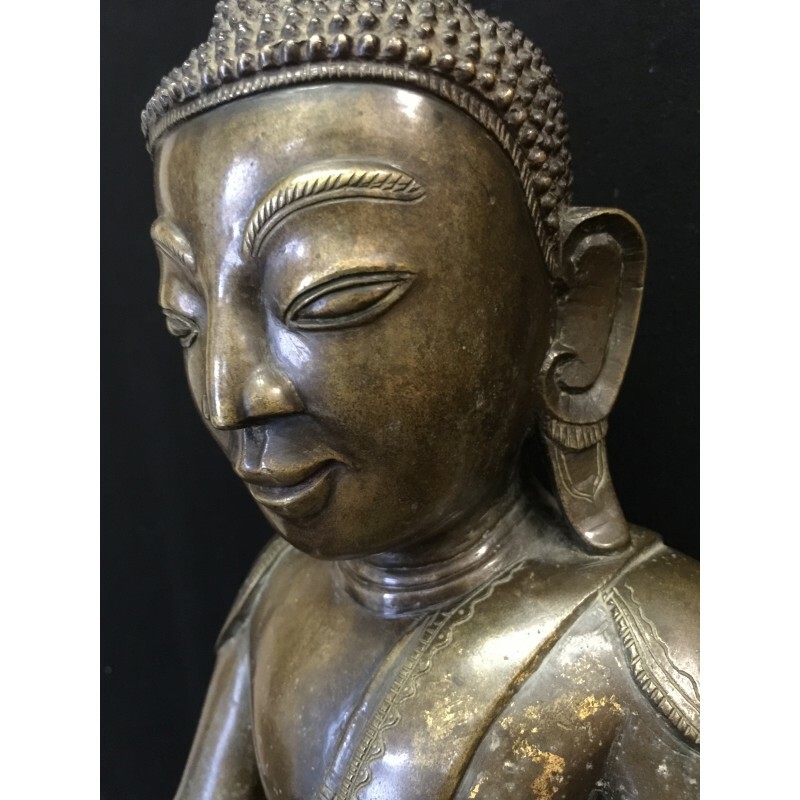 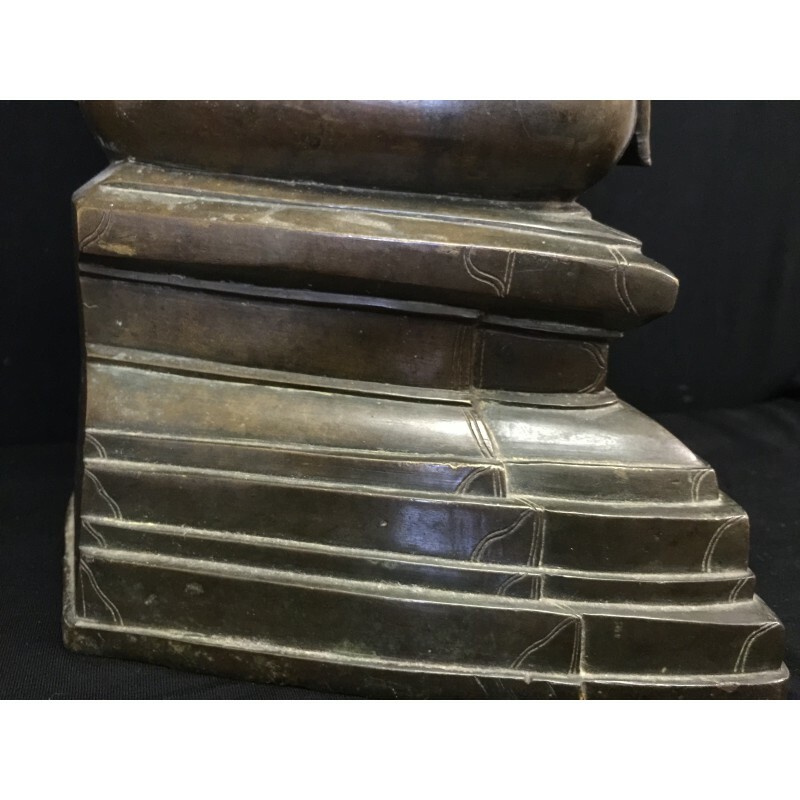 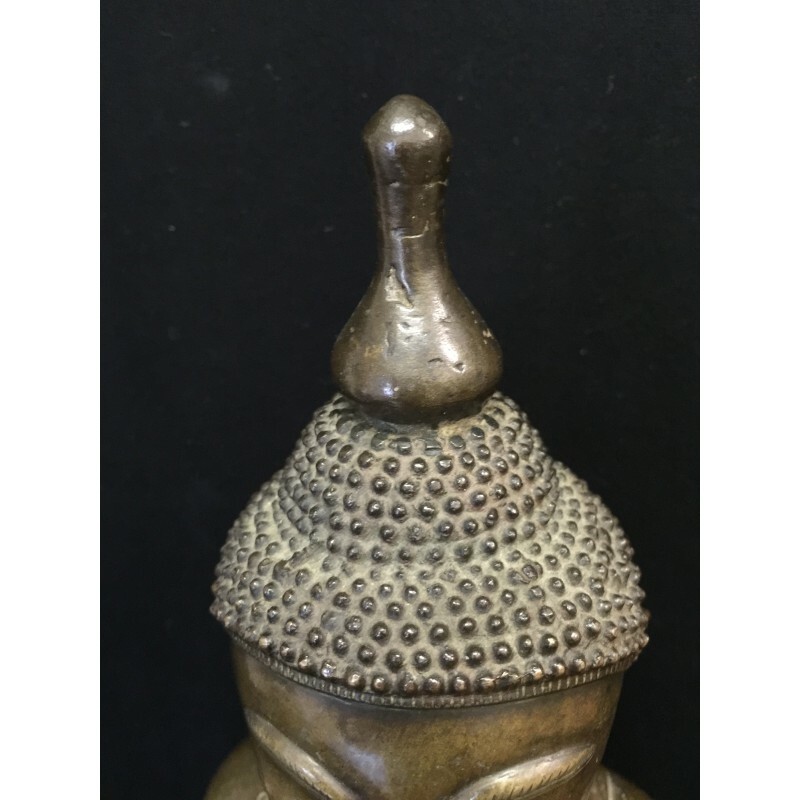 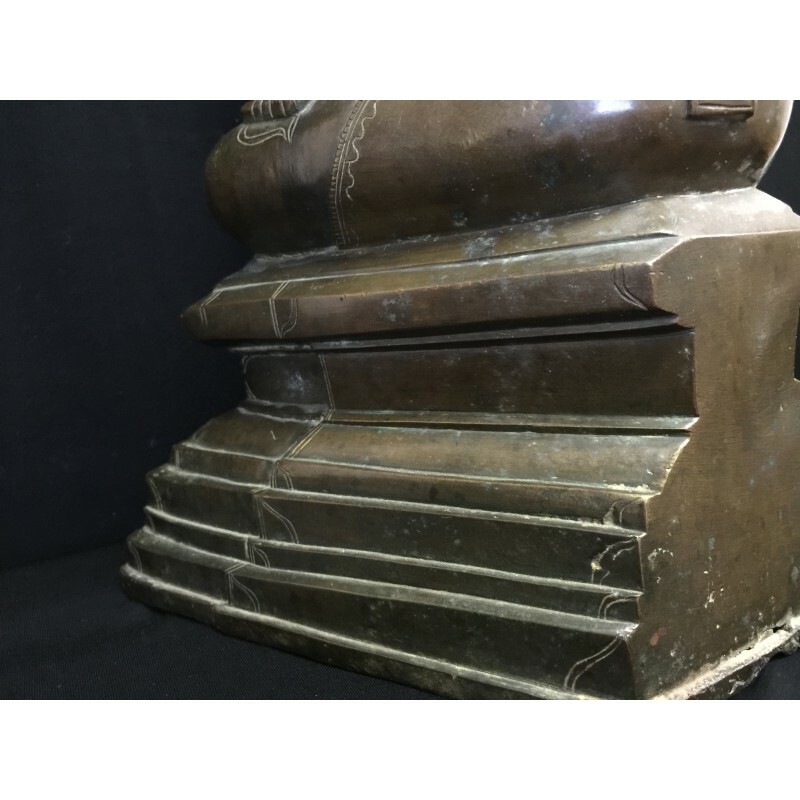 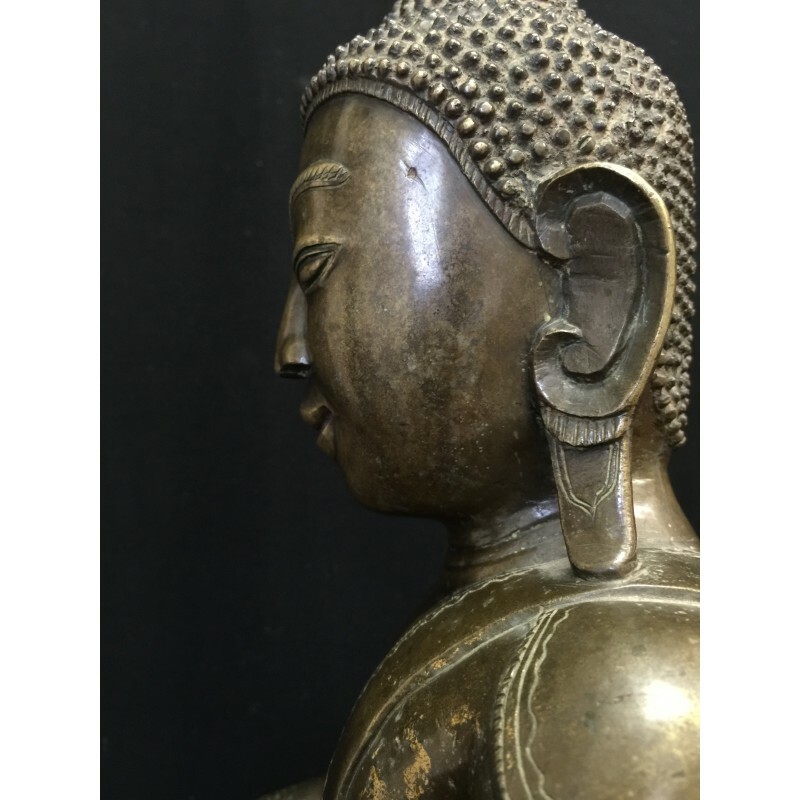 Very nice and beautiful sitting bronze Buddha from Burma in a mint condition. 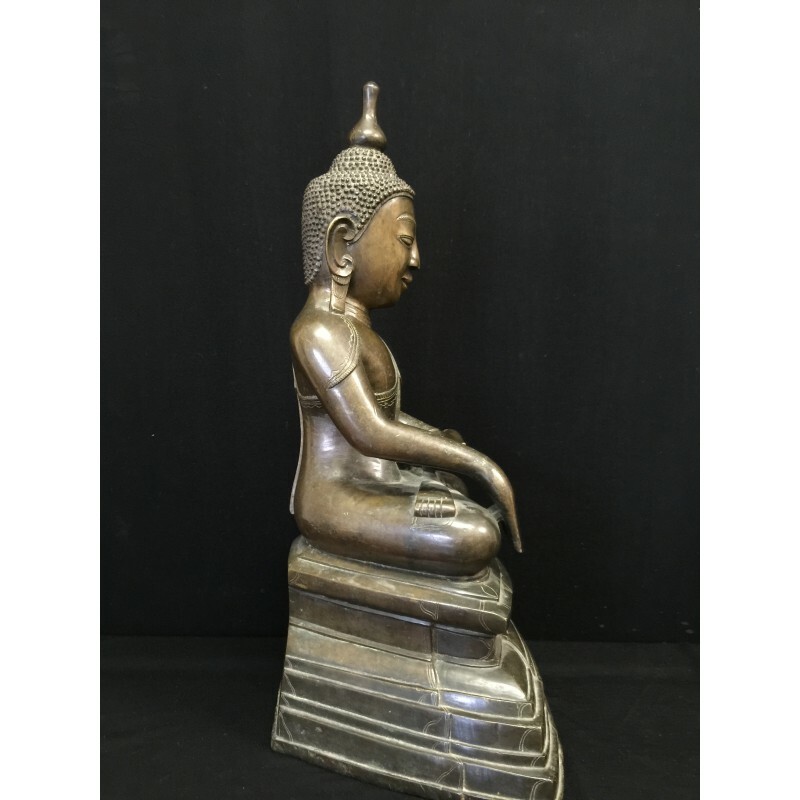 This classical Shan Buddha is sitting on a large throne in calling earth to witness position. 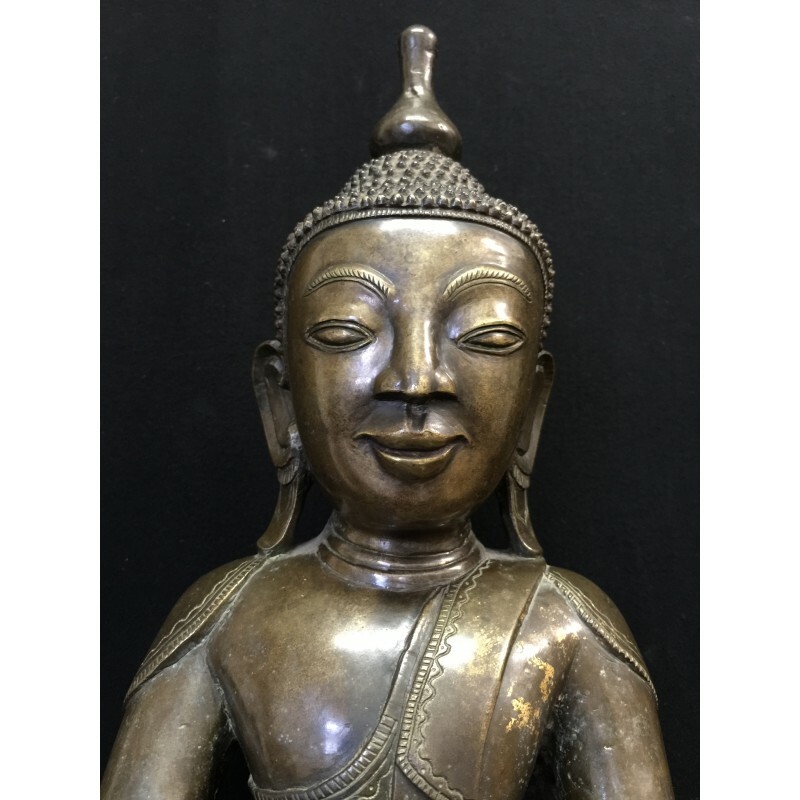 His oval face has a serene expression, the hair is peppercorn styled and at the top rises the large usnisa (flame) shaped as an stupa. 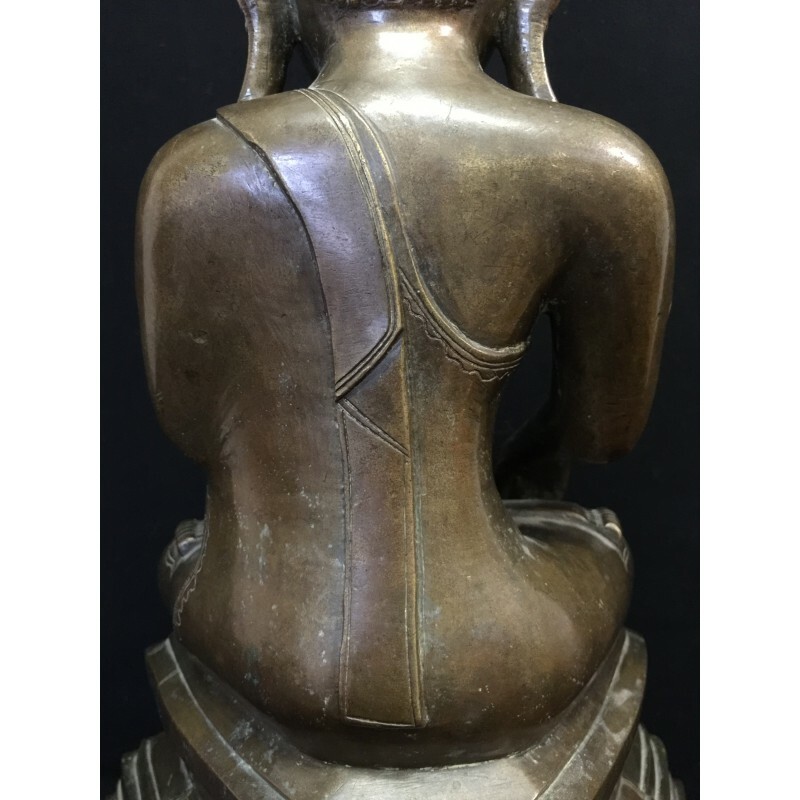 The robe is simple covering the left shoulder and the ears are going all the way down to the shoulders. 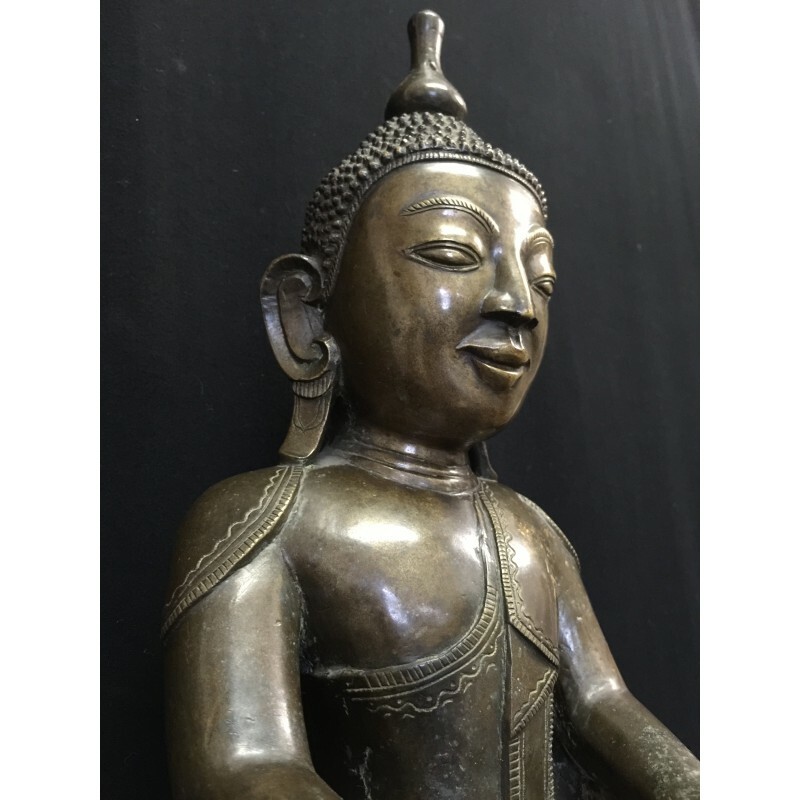 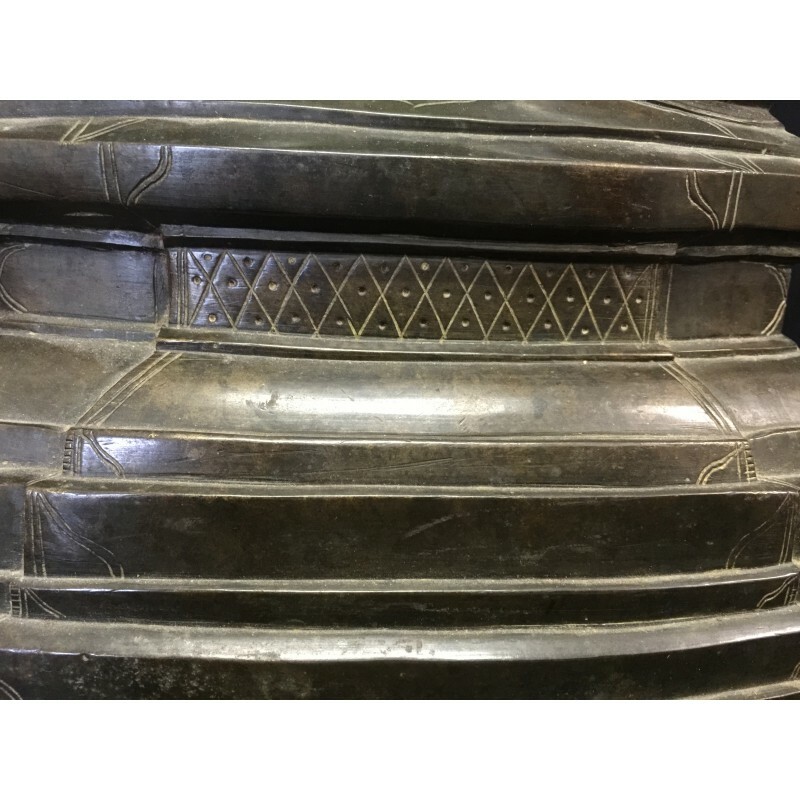 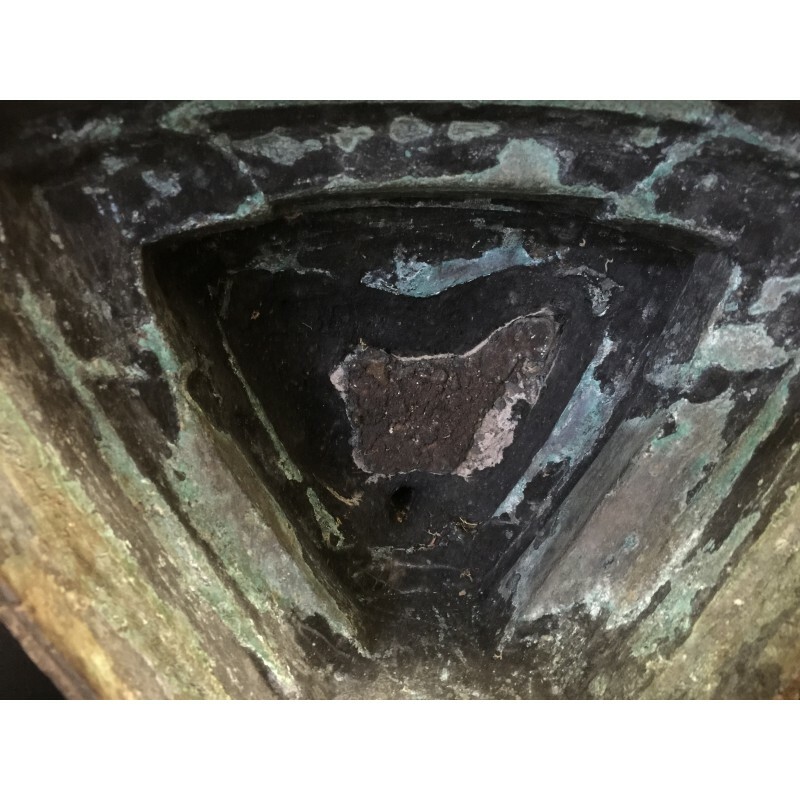 An old antique pieces with a very nice bronze patina.